COMMUNITY DAY IS CANCELLED FOR FEB 24TH! Winter Fun for the Whole Family! Every Sunday afternoon from 1 to 5 p.m. between Jan. 6th - Mar. 3rd, Forest Springs hosts Winter Community Days. 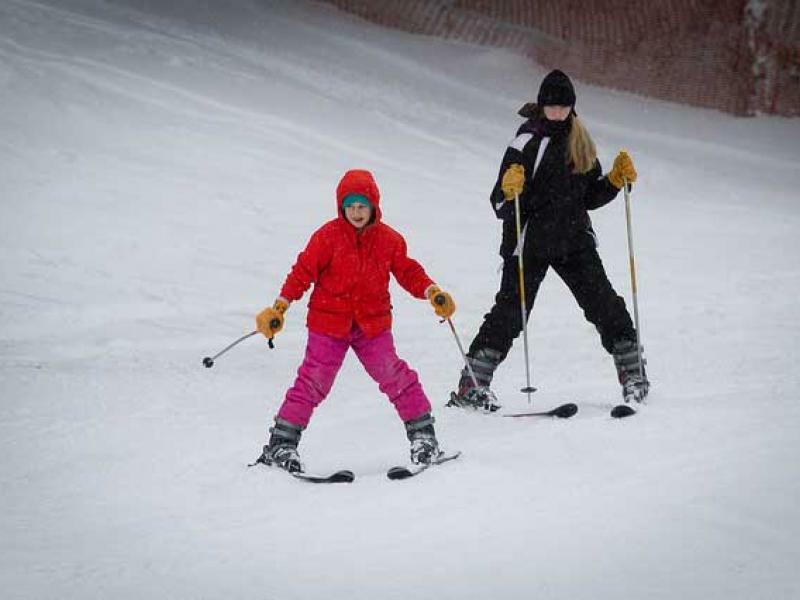 Winter Community Days give locals an opportunity to enjoy downhill skiing, snowboarding and tubing at Forest Springs. Over 20 kilometers of groomed cross country ski trails provide classic and skate skiers with plenty to explore. Snowshoe trails are also available. Free ski and snowboard lessons are available. 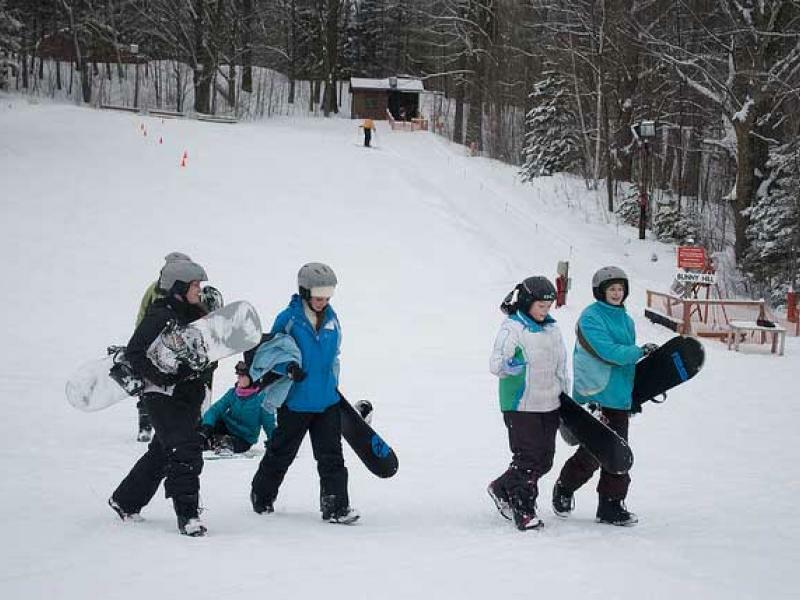 Free Ski and Snowboard lessons are provided by staff. For those looking for a warmer activity, Neale Lodge offers a variety of snacks and gourmet coffee drinks. Our game room featuring air hockey, ping pong, carpetball and foosball. The Packers game will be on every Sunday! Purchase a Season Ticket Pass for $50 (rental fees extra! It makes a great Christmas Gift! * A $10.00 ticket allows you to interchange activity areas at no additional cost. Rental fees still apply. ** - Limited number of snowboard rentals available. Groups may request a meeting room at $50 for the afternoon. Reservations are required. Usage time is 1:00pm - 5:00 pm. Privately owned snowboards must have metal edges and factory installed anti-release bindings. Children under 13 years of age must be accompanied by an adult. Children 7 years and under must be accompanied by an adult when using tube tow. The use of alcohol and drugs is not permitted on grounds. Smoking is allowed outside Forest Springs' buildings. 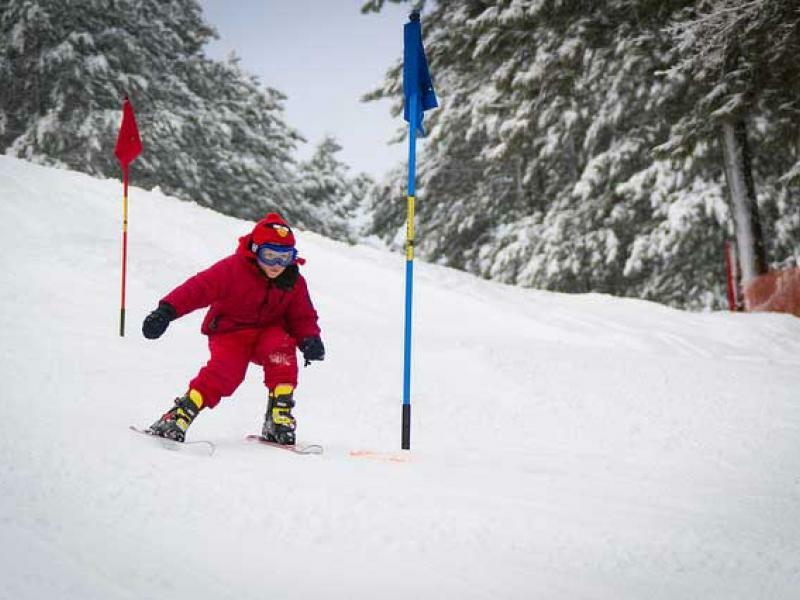 Downhill ski, snowboard and tubing areas open from 5:30 - 9:00 p.m.
Fees: $10.00 covers the lift ticket to use the areas. Downhill ski rentals are available at $10.00/set for the evening. Ice skate rentals are also available. Contact: Guest Services or call 715.427.5241 for available dates. Rates and procedures are subject to change without notice. COMMUNITY DAY IS CANCELLED FOR FEB 24TH. Join us every Sunday afternoon 1 to 5 p.m., from Jan. 6th - Mar. 3rd!